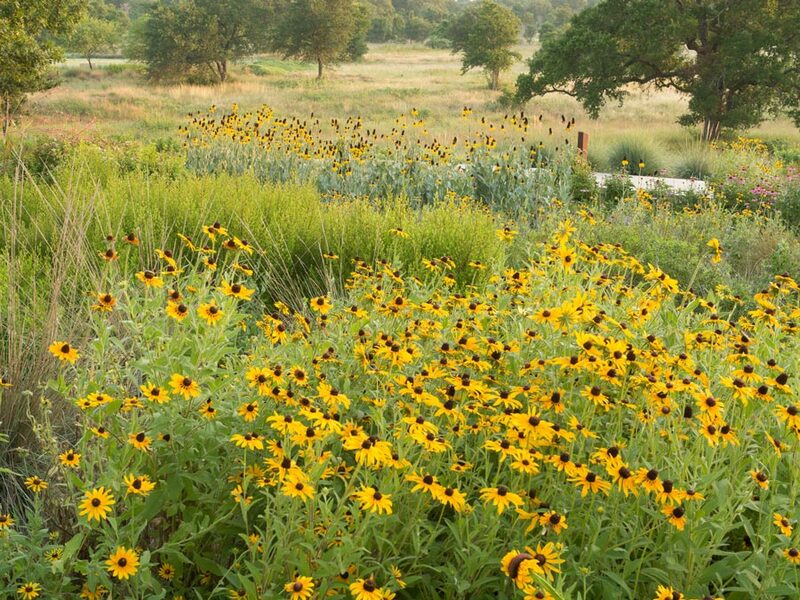 Drier than normal conditions since last fall mean early wildflowers won’t fare as well in many Texas regions, but intermittent rains since January will help those plants and boost later blooms, according to the senior botanist at The University of Texas at Austin’s Lady Bird Johnson Wildflower Center. Waitt noted that seeds left in the soil from last year’s abundant wildflower season could boost the late spring-early summer show of wildflowers. Parts of San Antonio and cities like Del Rio also experienced average rainfalls late last year that bode well this spring. And long-living, perennial wildflowers such as winecup and pink evening primrose should fare better than bluebonnets and other single-season flowers because perennials depend less on fall rain. Among the early wildflowers already blooming in Central Texas are: baby blue eyes, giant spiderwort and prairie verbena on land in eastern Travis County near FM 969; blackfoot daisies at a ranch east of Marble Falls; a mass of stiff greenthread along U.S. 281 near Evans Road in north San Antonio, and solitary sightings there of windflowers, Texas star and baby blue eyes. Rosettes of Texas bluebonnets are growing well along roadways in the Brenham, Texas, area, with a mid-March prediction for the start of blooms without significant warming. Near Marble Falls, bluebonnet rosettes in warmer spots are starting to grow. In Houston, Carolina jessamine has been spotted along Townsend Road from FM 1960 to Highway 59. Spring cress and windflower have also being seen in nearby Kingwood along the East End Park trail. In West Texas, many Big Bend bluebonnets (which bloom earlier than Texas bluebonnets) are putting on a show along the River Road south of Presidio and near Terlingua, Texas. Globe mallow and wild mustards joined the bluebonnet blooms last week. 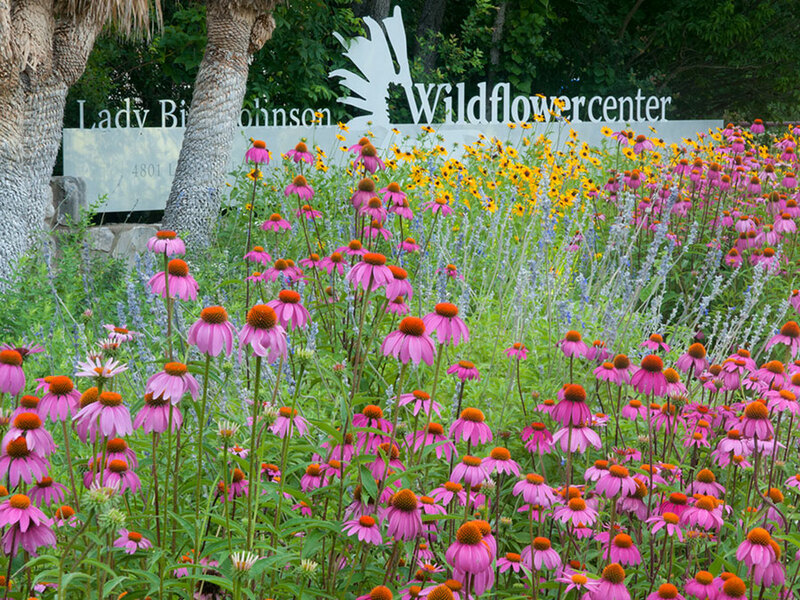 Carolina jessamine, plains fleabane and several bluebonnets have opened on the grounds of the Lady Bird Johnson Wildflower Center, where irrigation means abundant displays with large flowers will begin in a few weeks. The center also provides picture spots for families to gather in front of bluebonnets. “We recognize how important these photos are to Texans,” Waitt said, “so the center provides that opportunity in a safe environment where you don’t have to pull off a road to get a keepsake. Roadside sightings were provided by Minnette Marr at the Wildflower Center; Michael Eason with Texas Flora in West Texas; Lu Hollander at the Brenham/Washington County Convention & Visitors Bureau; Suzanne Chapman of Mercer Arboretum & Botanic Gardens; and MJ Hansen, Kris Kirkwood, Jerry Morrisey and Fred Zagst of Texas chapters of the Native Plant Society. Rain data was` provided by MJ Hansen and Selena Garza from News 4 WOAI’s Storm Tracker team in San Antonio.